‘The truth is in the whole’ and if we want to understand the impact of recent post-16 qualification reform on sixth formers’ experience of education we need to start with an overview of the whole educational landscape before analysing specific changes. Post-16 education in England is driven above all by the requirements of external accreditation. 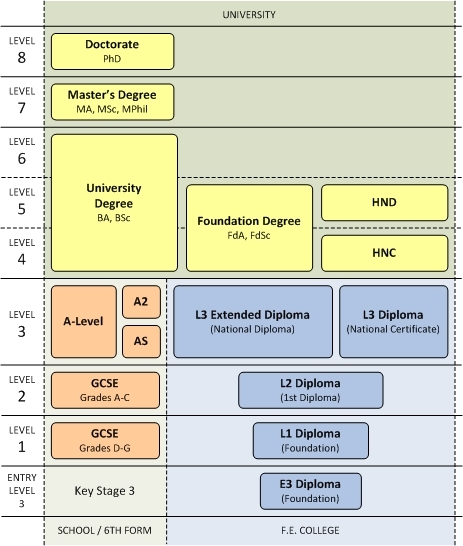 Perhaps more than any other sector, sixth form provision is shaped by the qualification system. In the absence of any coherent national curriculum framework for 16-19 year olds, we are simply asked to offer students a ‘programme of study’ which is mainly about a minimum volume of approved qualifications and the need to aim for at least a GCSE grade C in Maths and English, if not already achieved. Essentially, our task is to offer a menu of qualifications, get students on to the ‘right’ programme and ensure that they achieve what they need to progress to the next stage of education or directly to employment. Any lofty ideals we might have about a rounded education, learning for pleasure etc. need to take second place. The way we talk about our work and measure our success and the way we explain the system to our students and their parents is moulded decisively by the qualifications we offer. In many ways we are tools in their hands rather than the other way round. Our qualification system reflects the increasing marketization of education. Qualifications are seen as commodities which carry a market value with a clear hierarchy of subjects, qualification types and grades. Rather than a genuine ‘parity of esteem’ system, A-levels in facilitating subjects carry the greatest value with vocational diplomas at the other end of the scale with many gradations of status and value in between. As routes are opened up or closed down, students can also sense their future opportunities opening up or closing down, and as in all market systems most of the rewards tend to go to those who are already the most successful from the start. So how has the ‘rigour revolution’ in post-16 qualifications been experienced in recent years? Reviews of A level subject content have been well intentioned but they have not addressed the corrosive subject hierarchy which places Physics and Maths above Sociology and Psychology. Performance tables reinforce this through the use of measures such as ‘AAB in two facilitating subjects’. Changes to A level assessment such as the abolition of January exams, AS/A2 decoupling and the move to ‘linearity’ have certainly freed up teaching time and checked the ‘retake culture’ but they have made it harder for young people to delay specialisation or change track. The introduction of the A* has done nothing to limit the additional assessment burden required by the most selective universities. Advanced vocational qualification reforms such as the introduction of more external assessment are welcome but they have been combined with a downgrading of these qualifications vis a vis A levels and a lack of recognition in performance tables of the value of mixed A-level and vocational programmes. The accountability system incentivises sixth forms to be more selective by giving the greatest credit to the achievements of the most successful. At the same time it fails to recognise success in ‘stepping stone’ qualifications from Entry level to level 2. The funding system for 16-19 education has certainly been made fairer, with many inequities ironed out but the overall level of funding makes it unviable to offer a really broad curriculum to all and the harsh 17.5% ‘aspiration tax’ on funding for all 18 year olds discourages providers from taking on those very learners who need extra time to achieve what they are capable of. The cuts to funding for tutorial and enrichment were the death knell for many connective and sense-making elements of the sixth form experience. Rather than being seen as part of a strategy to improve sixth form education for all, these changes are being experienced as part of a process of stratification of students, of institutions and of qualifications into different types (elite, general, vocational, occupational…). This reinforces a stratified view of education itself which can only limit young people’s opportunities. Is such a narrow view of human potential really what we need in a modern society which claims to value greater mobility and equality? Turning back to the whole, in this case the whole student, we need to take a holistic view of what we mean by the educated 19 year old. We could then describe and fund the kind of 16-19 education needed to achieve this and we could review the way we recognise and accredit the breadth and depth of young people’s achievements at this stage. But we can’t wait for policy-makers to start this process. We need to try to make more sense of the 16-19 system we have using the tools at our disposal through initiatives such as the National Baccalaureate which can give value to the wider, fuller education which our 16-19 year olds deserve. Based on a presentation for the Secondary Umbrella Group meeting on 13th May 2016. This entry was posted in Education and tagged A levels, aspiration tax, curriculum, Education, England, Equality, marketisation, National baccalaureate, performance tables, Post-16 funding, qualifications, selection, vocational education. Bookmark the permalink.